The Chubbsafes ProGuard Grade 2 Size 110 is certified by ECBS to European standard EN 1143-1 Grade 2. It is suitable for floor mounting and is provided with bolts allowing for the safe to be permanently fixed. Once fitted, it has a cash rating of £17,500 and valuables of £175,000. This safe is operated using an EN 1300-certified Class A key lock, and secured with a 3-way locking mechanism with solid steel bolts. 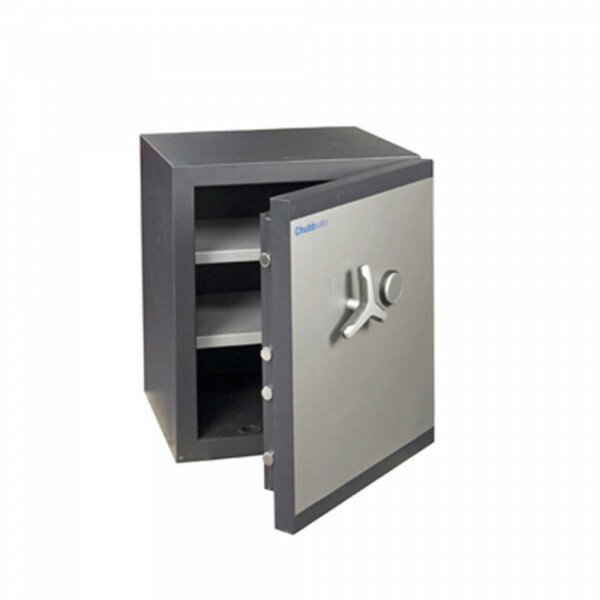 The Chubbsafes ProGuard Grade 2 Size 110 has a modern design with a contemporary two tone satin finish and 2 adjustable shelves allowing you to organise your valuables as desired. 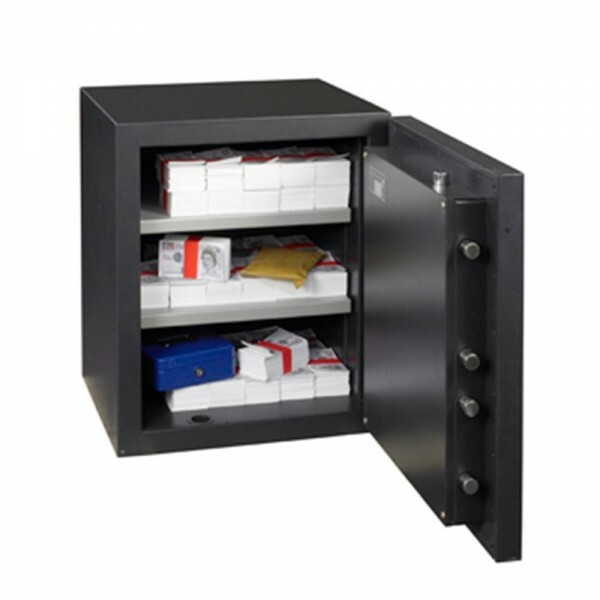 Optional internal drawers or cupboards are available to further customise the safe to suit your storage requirements but are not supplied with the safe.